I have been playing a game called Neopets for a looong time. 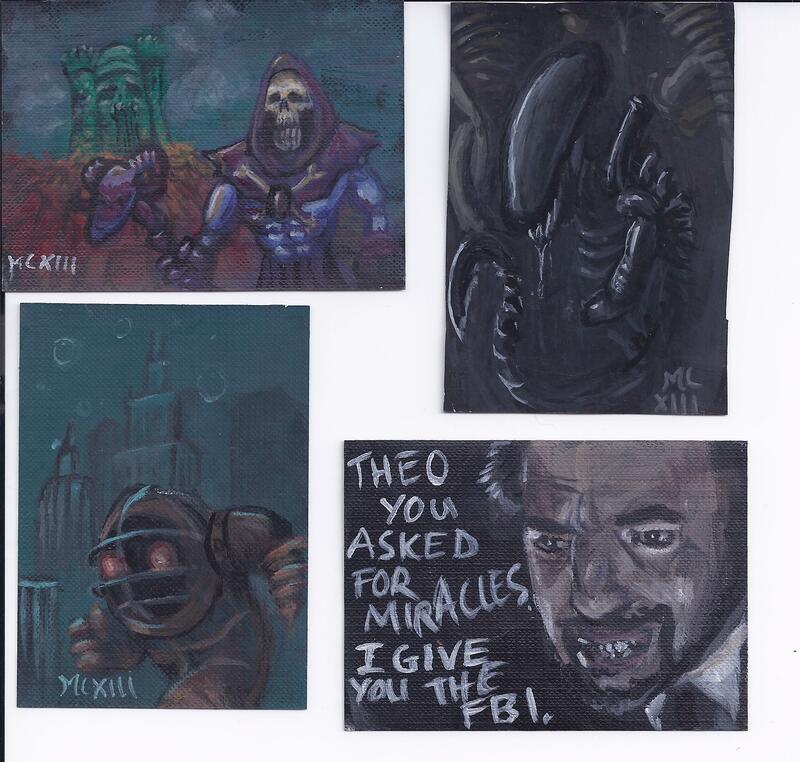 They have an art gallery and you can submit fan art to it. If your art gets published you get 10,000 neopoints, a rare item, and a virtual trophy. My Neopets bank account earns 10,000 neopoints a day so I am not concerned with that. Rare item? Don’t care about that either. What I want is that trophy. I am going to submit paintings regularly until I get that trophy. Here is my first submission. 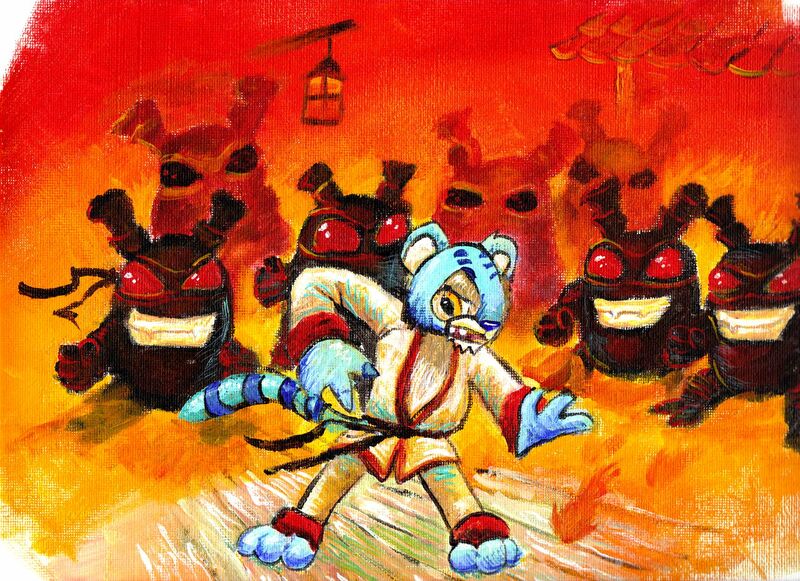 That tiger looking thing is a kougra in a karate gi and those menacing creatures are grundo ninjas. 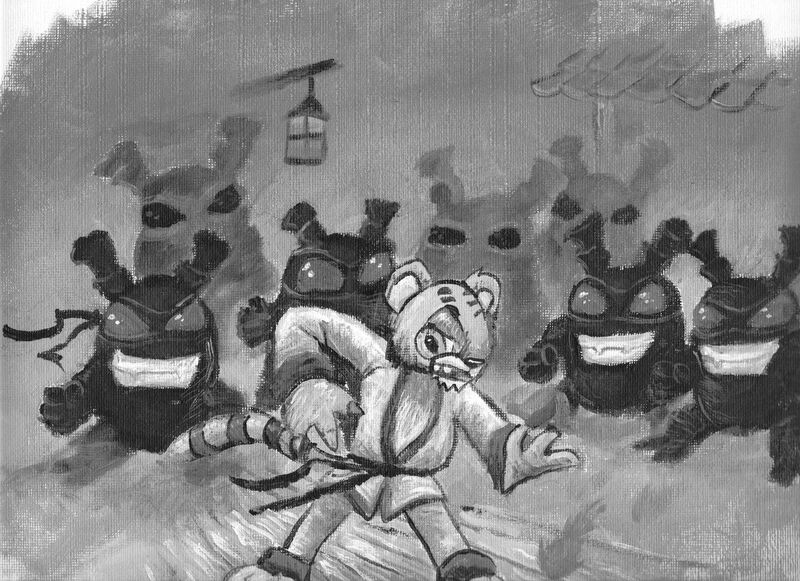 The first scan I did was black and white and came out kind of cool. I don’t know if these are good enough for the trophy but never the less they are going in. I’ll keep you posted on this little project and will show the trophy when it is finally won because it is your trophy too for supporting independent artists. P.S. Thanks to James, Nick, Jeremy, Shelley and Courtney for making my birthday so special this year.